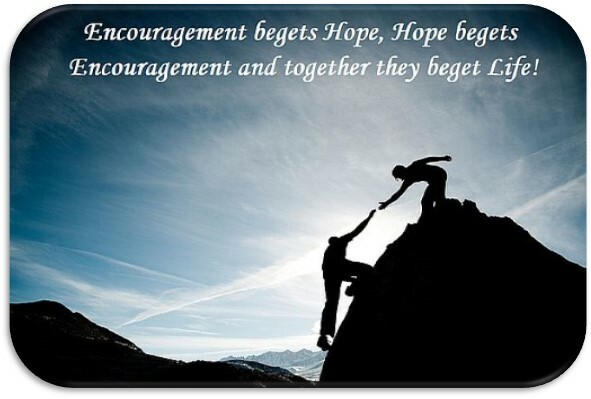 What the world needs now is one more encourager! Discourager’s are a “dime a dozen” however one encourager is invaluable and can turn another’s world upside down! Encouragement planted in one’s life germinates into Hope, not hope in its “wishful thinking mode” but Hope in its “God’s got this mode” Ken Boa President of Reflections Ministries and Trinity House Publishers writing of God’s Encouragement and Hope offers this insight. Paul was telling the Thessalonians he and Timothy had been given the gift of being encouragers, a gift they took responsibility for, “…for you yourselves know that we are appointed to this.” For them it came easy for others it may not be as easy. That is especially true for someone in need of encouragement themselves. Yet when people get together putting the other first then seek God’s strength and insight they will find the words to encourage the other and in return find the encouragement they need themselves. Crustyism 2018.01.22… Encouragement begets Hope, Hope begets Encouragement and together they both beget life! Scriptures marked NKJV are from The New King James Version. (1982). Copyright 1979, 1980, 1982 by Thomas Nelson Inc. Used by permission. All rights reserved.